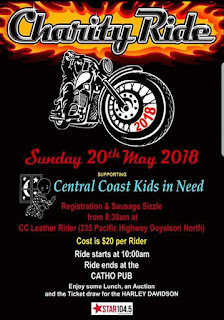 All he wanted was to start his own recreational motorcycle club with his buddies and raise money for charity. 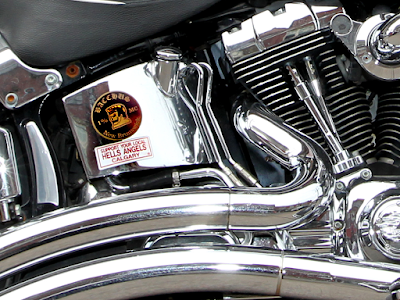 Instead, a Nova Scotia man wound up installing a panic alarm in his home, selling his bike and never riding again. His error? 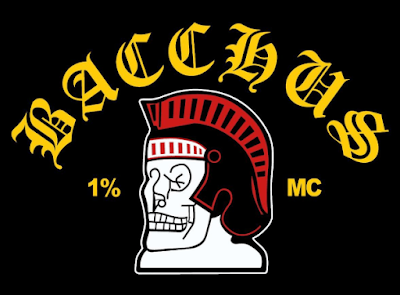 'RM' decided it was best to approach the Bacchus MC — a club tied to the Hells Angels — to get approval. RM complied. 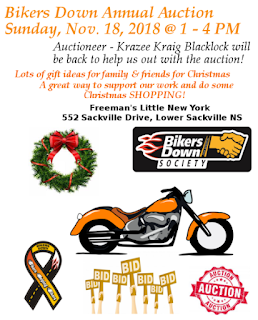 In September 2012, RM attended a “Bikers Down” charity event in Lower Sackville, N.S., and was confronted and threatened again by James and two others, Duayne Howe and David Pearce. 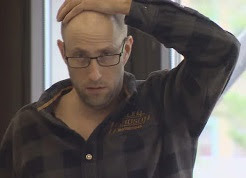 Patrick Michael James, 51, Duane Jamie Howe, 49, and David John Pearce, 44 were convicted at trial and the Bacchus MC is a criminal organization, the first time that designation has been made in Nova Scotia. 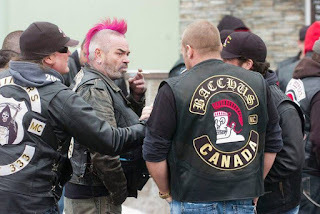 A man tried to open a chapter of the Brotherhood MC in Nova Scotia. It isn't an OMG, but uses similar patches. The three had issues. David John Pearce. 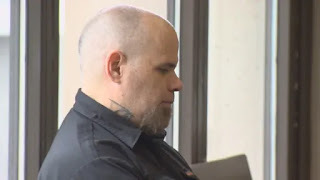 Patrick Michael James was sergeant-at-arms for the Halifax/Hants County chapter of the Bacchus MC Patrick Michael James received the longest sentence: two years on a charge of extortion and an additional year on the charge related to a criminal organization. 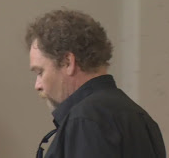 Duayne Jamie Howe received a total of two years for the same two charges. David John Pearce, received an 18-month jail sentence and three years probation. The crown had called for between 4 and 6 years for the trio.